Considered one of the area’s most established communities, Brookline is known for its exceptional school system, affluent neighborhoods, wide range of delicatessens and neighborhood bars and restaurants. The area is surrounded by some of the world’s top hospitals and is ideal for those either working in the medical community or commuting to downtown Boston. 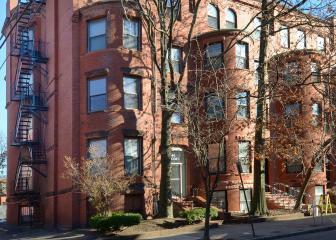 45 Carlton is a recently renovated apartment building located steps away from Fenway and Coolidge Corner in Brookline. 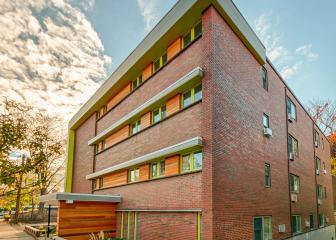 All units feature high ceilings, hardwood floors, and new bathrooms with off street parking. Newly restored from top to bottom, this landmark structure is ideally located between Brookline Village and Coolidge Corner with close proximity to the Longwood medical area. The building combines the best of modern convenience with exceptional historic charm. Many of the units include exposed brick walls, circular corners in living rooms, wide pine floors, and all with new kitchens & bathrooms. The product of a total architectural redesign, 14 Marion boasts an inspired exterior facade with renovated common areas and units. 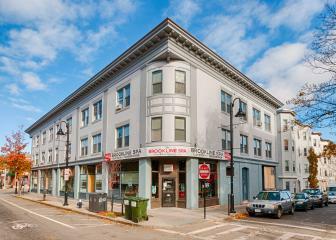 The building offers onsite parking, a rarity in Brookline, and is just steps away from Harvard Avenue. The building offers many of the same features of a brand new apartment buildings with rents that are significantly below new construction.